Do Magnetic bracelets work? Depends who you ask! Should we ask the question do the magnetic bracelets really work or should we go for broke and ask how do magnetic bracelets work? It’s harder than you think. Like a chicken and egg question. Do we presume that they work and look for the mechanism? Or do we start off assuming nothing, like orthodox scientists. It was after all George Francis Gillette who said “there is no ox so dumb as the orthodox. But was that just the voice of an embittered would-be scientist or a legitimate criticism of those who are incapable of thinking outside the box? Does it even matter? The important thing is that user experience has endorsed this alternative approach even if the mainstream medical community has not. So while the medical community lags behind and either ignores the issue altogether or tentatively asks does magnetic therapy work, the more enlightened and open-minded seeker of answers, instead asks a deeper query of magnetic bracelets – how do they work? As yet there is no definitive answer, although – needless to say – some theories have been put forward. But of more interest perhaps is the what rather than the why. As in the inquiry that asks what do magnetic bracelets help with? The usual answers are arthritis and headaches. But how much evidence is there to support those claims. Sure we can ask, hopefully, do magnetic bracelets work for arthritis? But as fast as one study says that they do, another study comes along and says actually no, they don’t. Accepting new ideas in medicine is slow. That’s because whenever an innovation comes along, the specter of thalidomide hangs over it. And of course the same goes for hypertension and its consequences. Do magnetic bracelets work for headaches? There are no medical studies or trials that say they do. But there was a study that said that treatment with pulses from high-power electromagnets could reduce the severity and frequency of migraines. So at least when some one asks do magnets really help with pain, we can answer in the affirmative – albeit to a limited degree. Then maybe the same question could be asked of arthritis. Do magnets work for arthritis, even if not of the kind you wear on your wrist? Alas no similar study had been undertaken for the use of such high power magnets on arthritis patients as in the migraine study. So there is no data one way or the other on that one. 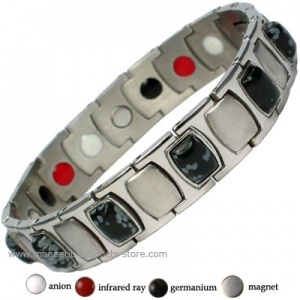 On the other hand, there was a study in 2004 by Tim Harlow of the Peninsula Medical School that concluded that magnetic bracelets ‘ease aches’ in osteoarthritis sufferers specifically. So magnetic bracelets DO work, say researchers, albeit in the case of one particular ailment. But what are the benefits of magnetic bracelets to those who suffer from other chronic conditions? Do magnetic bracelets really help with pain in general? Or one type of ailment only? Of course it is good to be able to cite the recognized positives of such treatment. 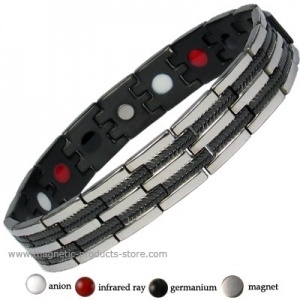 There may only be limited things one can say about health benefits of magnetic bracelets – safe alternative medicine, at least even if not yet guaranteed to be effective treatment. But at least we can say, when someone asks “What is a healing bracelet?” that the answer is: whatever works for you. Filed under: Debate about magnetic therapy, Health, Magnetic therapy studies, New research, The Politics of Alternative Medicine, Uncategorized | Tagged: arthritis, do magnets work, does magnetic therapy work, headaches, Magnetic Bracelets, Magnetic Therapy, osteoarthritis |	Comments Off on Do Magnetic bracelets work? Depends who you ask! One of the questions we are often asked is whether magnetic bracelets can be used for psychological therapy, as opposed to its physical counterpart. This is particularly important at this time of year. January is cold and gloomy, its days short and its mood one of utter depression. Unlike December, which offers us Christmas and then the New Year, January offers us nothing by way of good cheer. It is the time when the winter blues really set in. So if magnetic therapy with an emphasis on psychological benefit is ever needed by the general masses, it is in January. Unfortunately, there is no scientific evidence that magnetic bracelets can cure depression. But hold your horses there, isn’t that the whole point of psychosomatic action? 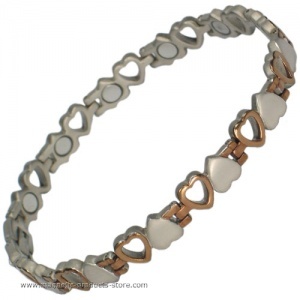 Whenever magnetic bracelets or other magnetic jewellery appears to work, it is dismissed by the sceptics as the”placebo effect.” In other words, it makes the person feel better psychologically. And in the case of winter depression there is a specific malady known as Seasonal Affective Disorder (or SAD) that is well-known to psychologists and that is crying out for treatment. And how might the placebo effect work with magnetic jewellery against Seasonal Affective Disorder? Well first of all the act of purchasing a magnetic bracelet might itself give a modicum of pleasure. They don’t, after all, call it “retail therapy” for nothing. But aside from that, magnetic jewellery has that very attribute that is the most powerful antidote to the darkness and dreariness of winter: they are bright and shiny – whether made of stainless steel or polished copper. And they are especially affordable right now, because the January sale is in progress at MPS, with discounts up to 80%. So if now is a time to buy an affordable magnetic bracelets like the ones pictured here and beat those winter blues.